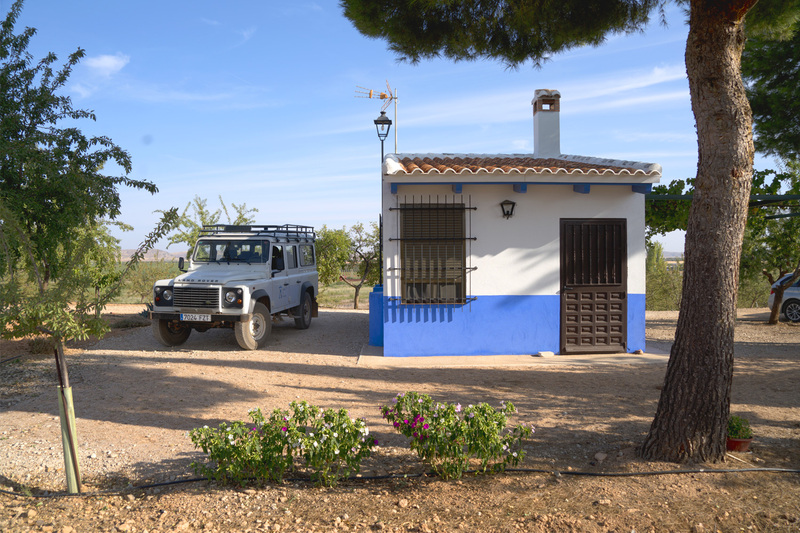 Over 50% of farms are 5 ha (12 acres) or smaller. Olives, grapes and almonds. Every hectare a challenge. 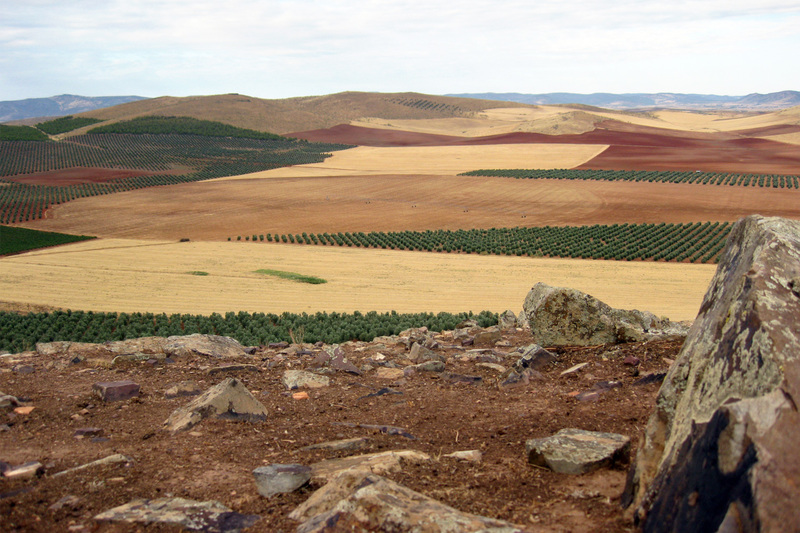 Olive groves and vines as far as the eye can see, red soil, gentle hills. The sun is shining. Picture-book Spain. 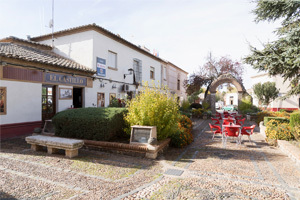 Juan Ángel Martín Gómez, owner and agricultural engineer, says this is his favourite place. 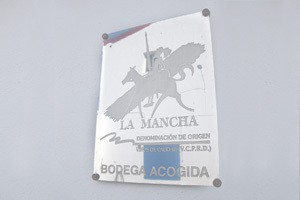 He runs 'Viñedos des Vistalegre', the farm established by his father in Granátula de Calatrava in the Castilla-La Mancha region, approximately 200 km south of Madrid. 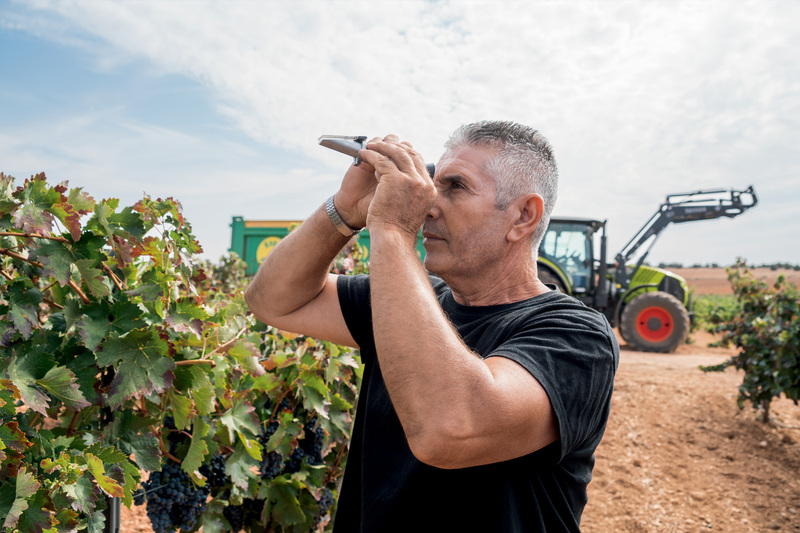 When his father took over the 600 hectare farm in 1970 its focus was on cereals and livestock, but over the last 20 years the family has gradually converted to growing olives, wine and almonds. 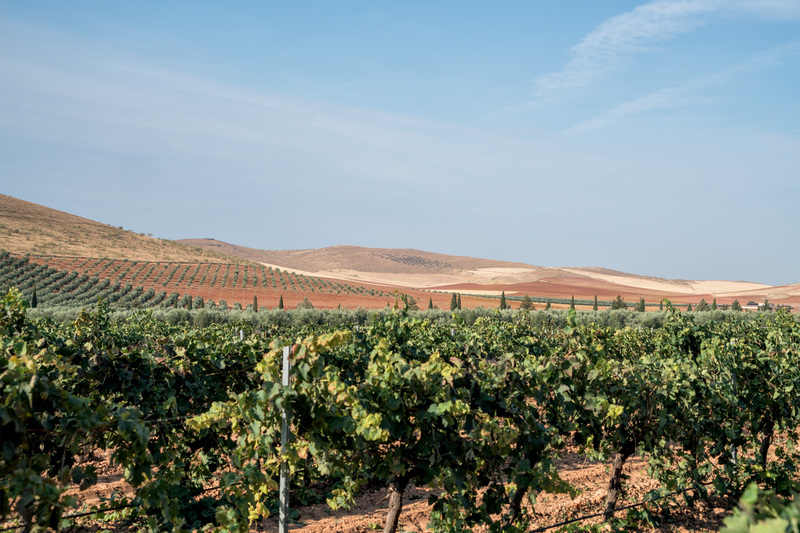 The land covered by the Finca Viñedos des Vistalegre now runs to around 120 hectares of olives, 80 hectares of vineyards and 70 hectares of almond trees. The rest of the land is fallow or mountainous terrain that cannot be cultivated. 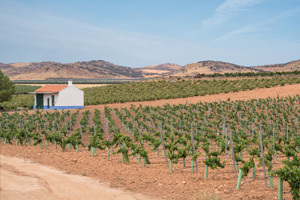 The Finca Viñedos des Vistalegre is one of Spain's medium-sized farms. 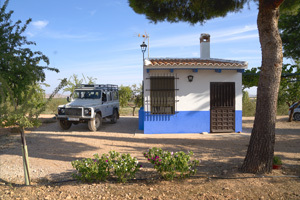 "We have never sold any land, but have bought extra land many times over, bit by bit, which has been an enormous effort," says Juan Ángel Martín Gómez with an appreciative look at what his family has achieved. 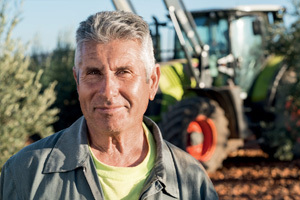 He believes that a farm becomes more profitable as it gets bigger. And what does it need most of all? This 52-year-old has a clear answer: stability. 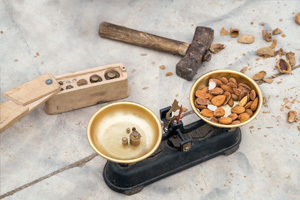 "Stability is what makes excellent work. If you really take care of things, they work well and make you successful and happy." 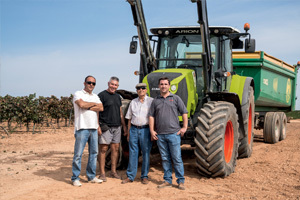 Stability and reliability are two qualities that Juan Ángel Martín Gómez has also found in his manager Juan Antonio Paredes Imedio, who has played an important part in the farm's success for over 14 years. Juan Antonio Paredes Imedio has a wealth of expert knowledge and guides the six other Finca employees with this expertise. At harvest times they take on another 15 seasonal workers. Pruning, fertiliser application, tree care, irrigation and harvesting are all within his area of responsibility. 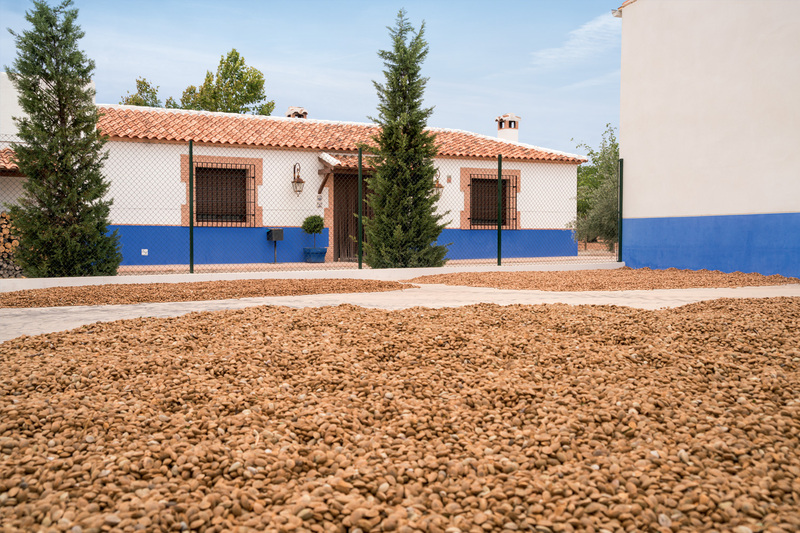 The biggest problem is the irrigation system which has to be in perfect condition all the time as the Finca cannot function without it. Not surprising when the average rainfall is only 350 mm! The red soil around the Finca Viñedos des Vistalegre is very common in Mediterranean areas. It is red clay produced from weathered limestone, also known as 'Terra Rossa', which is relatively low in humus but rich in iron and very fertile when there is an adequate water supply. 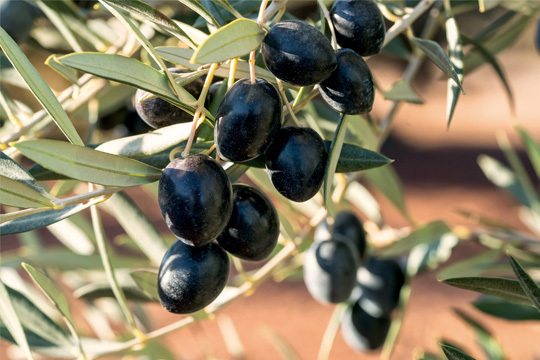 It takes four or five kilograms of olives to produce one litre of olive oil. 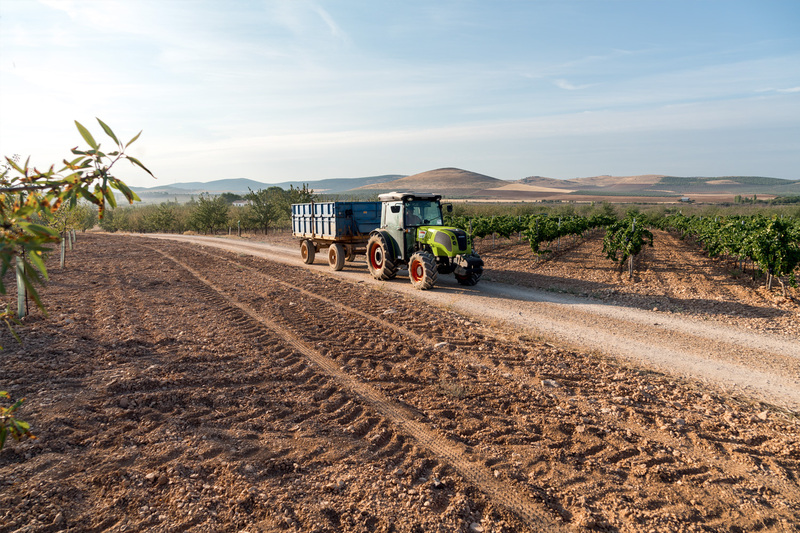 With around 2.5 million hectares, Spain is the biggest olive producer and olive oil exporter in the world. The main production area is the Andalucia region in southern Spain, which has approximately 60% of Spanish olive trees. Around 15% of Spain's olive trees are grown in the Castilla-La Mancha region. 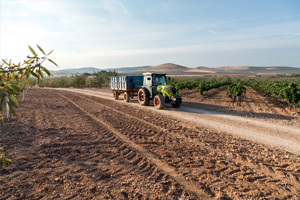 However, olive growers here must face a challenge that doesn't exist in Andalucia – night frosts which can start in October or November. But the olives for oil production aren't harvested until mid-November. 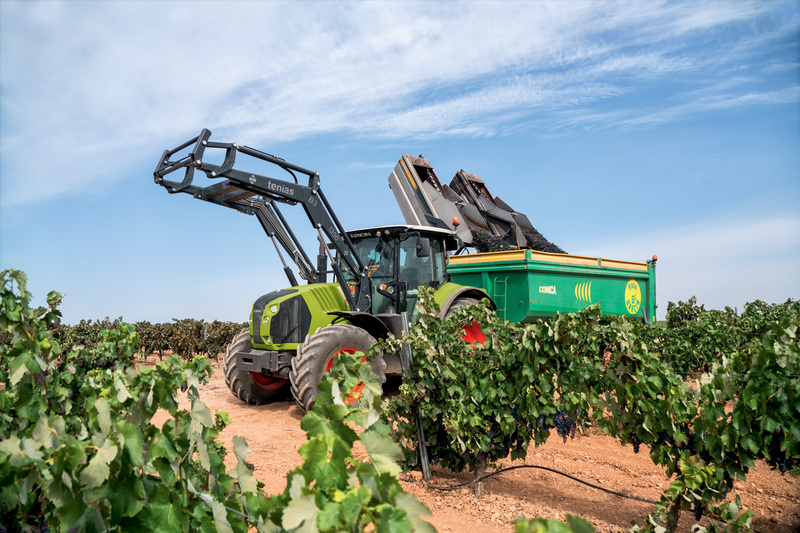 This is where many years of experience on the part of Juan Ángel Martín Gómez and Juan Antonio Paredes Imedio really come into their own, enabling them to watch the weather and schedule the harvest. 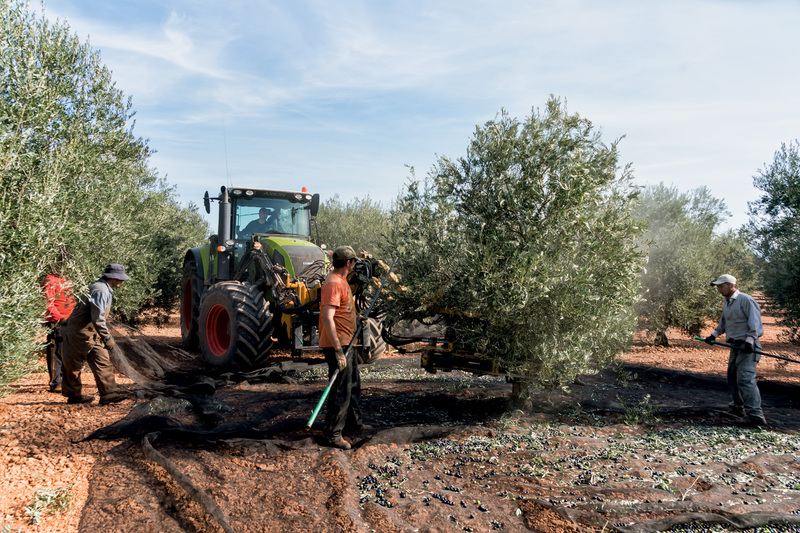 Under perfect conditions, they can expect a harvest of 40 to 60 kilograms of olives per tree. With an oil yield of 18 to 24%, it takes four or five kilograms of olives to produce one litre of olive oil. However, olive growers don't find out how much they will be paid per kilogram of oil until the harvest is over. 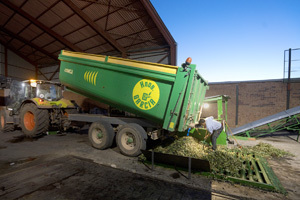 They supply the olives to the olive mill which presents the results of tests on every delivery at the end of the season. 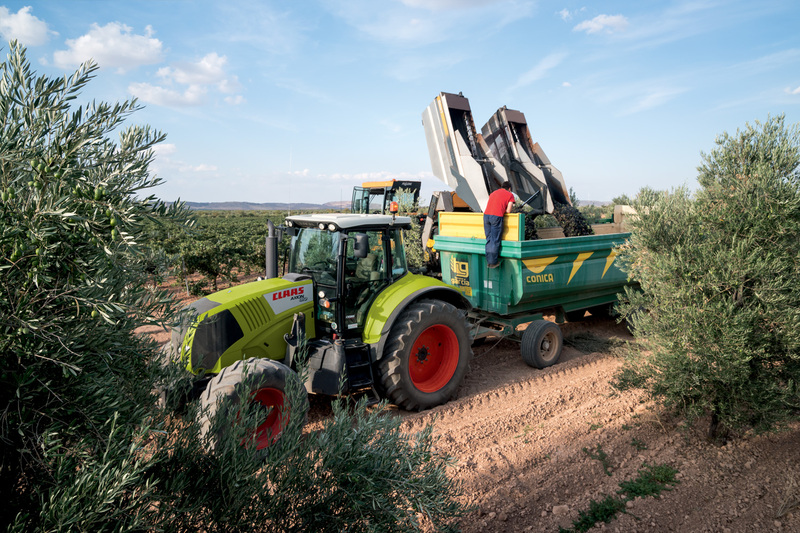 The price is determined not only by the tonnage supplied but also by the constituents and average fat content of the olives – which influence the oil yield. 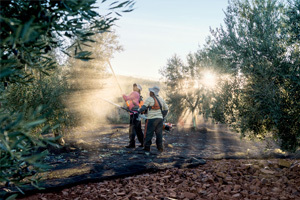 In recent years the price has been around € 0.60 per kilogram of olive oil. In a good year a tree can yield up to 30 kg of almonds. 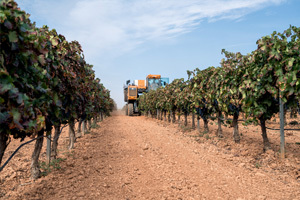 The yield can vary enormously from year to year, depending on the weather, the right pruning and the age of the trees. An olive tree can live for up to 100 years but produces the highest yields at around ten years. The Finca Viñedos des Vistalegre has around 200 olive trees per hectare. 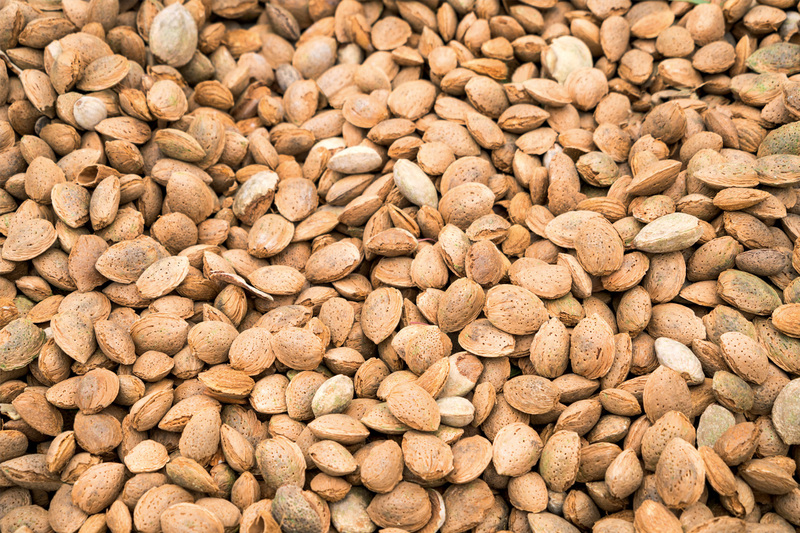 For Juan Antonio Paredes Imedio, regular monitoring of his crops is a top priority. 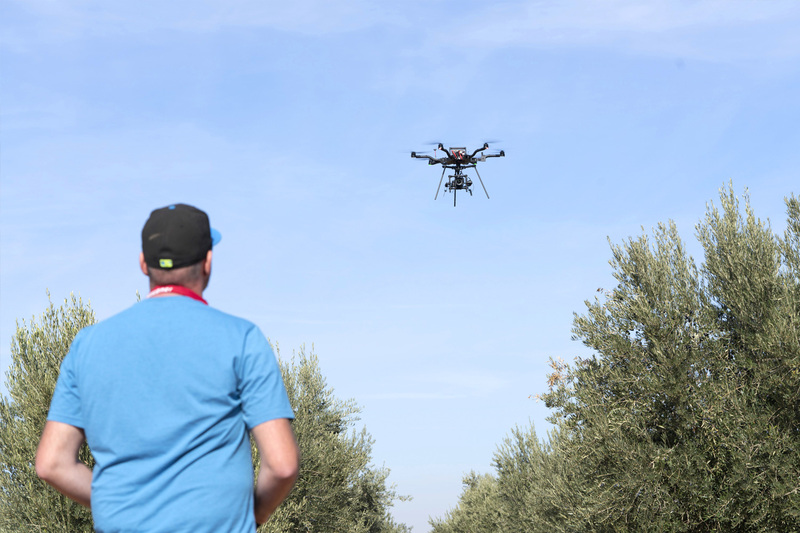 In particular, he keeps an eye open for the olive fruit fly whose larvae live in the olives, causing the fruit to drop off the tree after a short time. This means that Juan Antonio is busy all year round. He starts by pruning the vines in January. 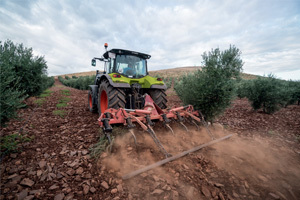 The soil between the olive trees is worked for the first time in March and April to minimise weed pressure. 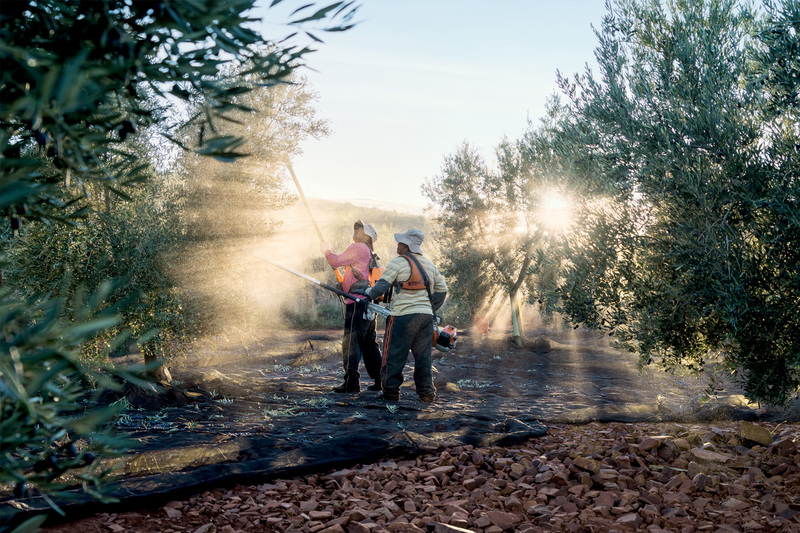 Various treatments are applied to the olive trees and vines in May and June to protect them from fungal infections and insect infestation. If there is any rain during the summer, another round of mechanical cultivation takes place in August. 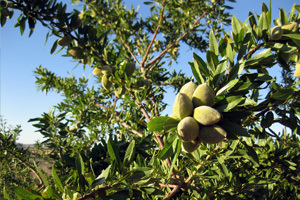 Shortly afterwards, in August and September, there is the grape and almond harvest. The almonds are knocked off the trees with sticks and fall into collection nets underneath the trees. In a good year, a tree can yield up to 30 kg of almonds. 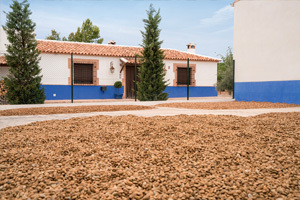 After harvesting, the almonds are spread out for drying so that they do not go mouldy. 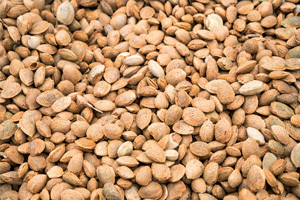 The inspector then assesses the quality and weight and they are sent to a cooperative for further processing. "The CLAAS tractors do most of the work." The farm uses an ARION 620 and a NEXOS 240 F. "The little one," as Juan Antonio Paredes Imedio almost lovingly refers to it, is used in the vineyards and for treatments on the trees. 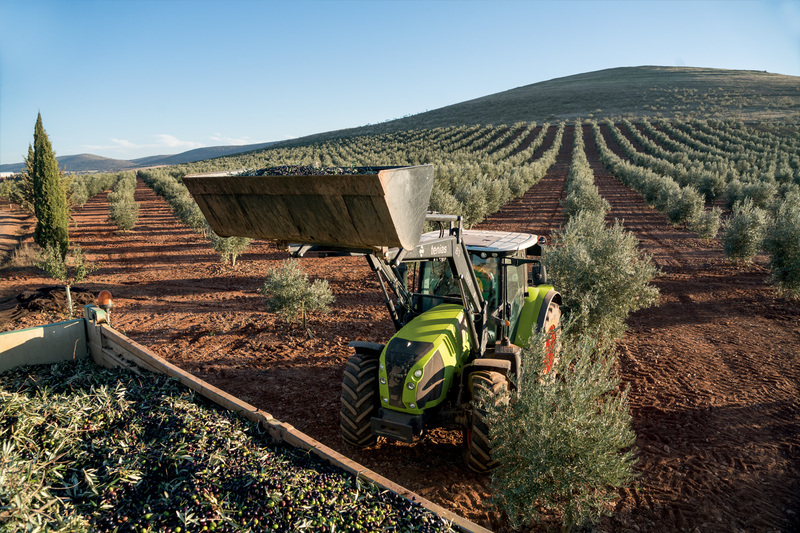 The big one, with 150 hp, is used for mechanical cultivation in the olive groves, and also to chip the prunings from the trees in the winter. But for the olive harvest they need the AXION 810 owned by contractor Los Chinos because it has the output needed to operate the front-mounted shaker. 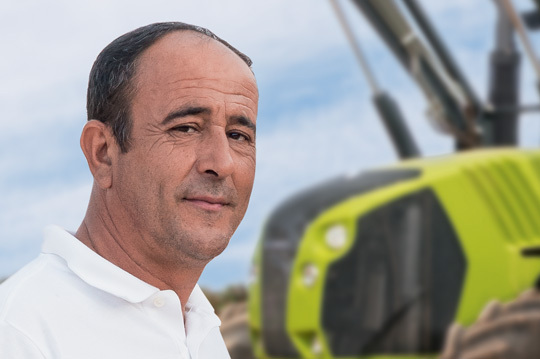 "The CLAAS tractors do most of the work," says Juan Antonio, who is very happy with the tractors and the service he receives. 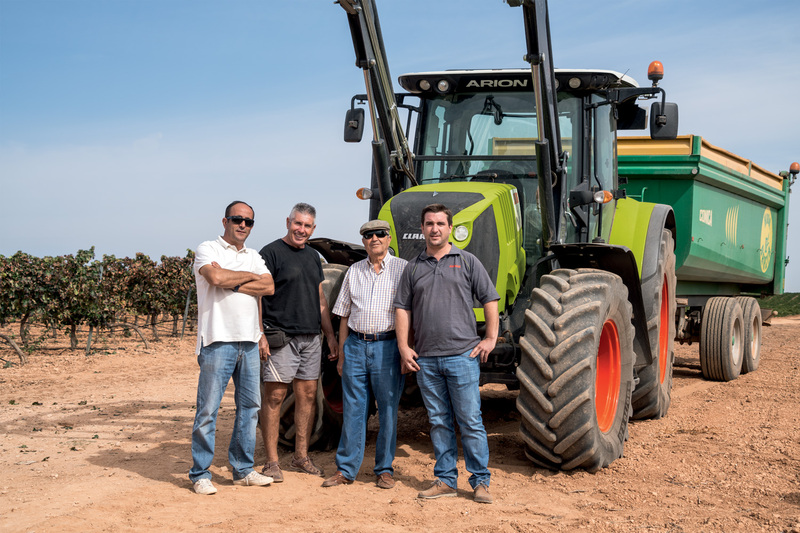 Service is the key factor for Juan Ángel and Juan Antonio, and was what attracted them to CLAAS several years ago. One of the tractors they had at the time broke down during the harvest. 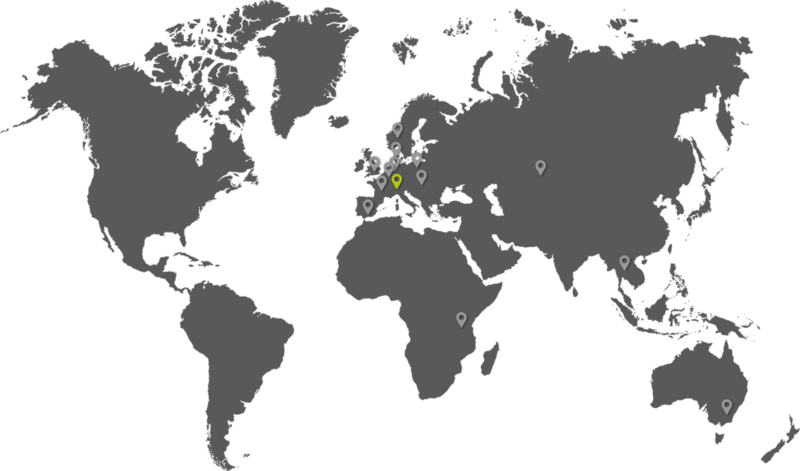 The senior partner at CLAAS machinery dealer Agricola Menchero helped out at short notice, and this commitment developed into a reliable partnership which still endures today. 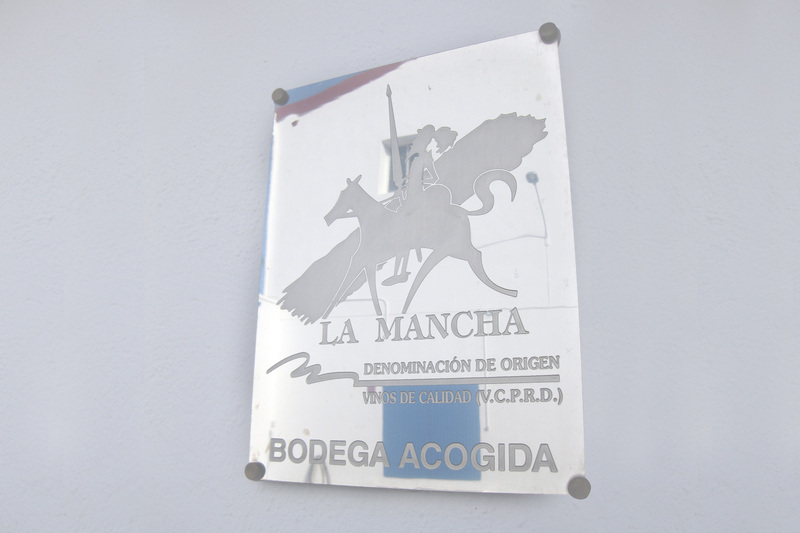 The Menchero sons, who now run the business together, still show the same commitment. 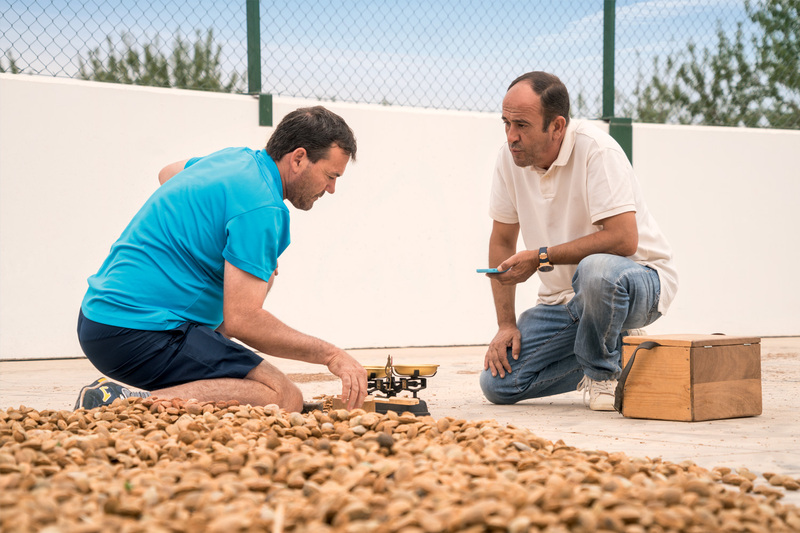 Juan Antonio is pleased that his boss "keeps his eye on the ball and carries on planting." He hopes that "we will get more of everything in the future. 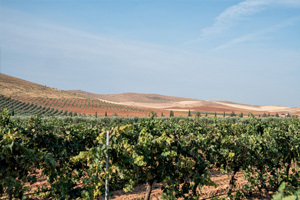 More almond trees, more olive trees and more vines." 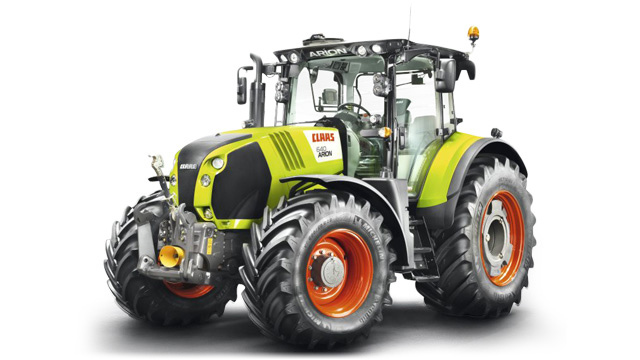 With the new ARION 500/600 series, CLAAS now offers the technology and comfort of CLAAS high-horsepower tractors but in the 140 to 184 hp power range.